Activists affiliated with New Hampshire-based “Declassify the 28 Pages” are at it again. 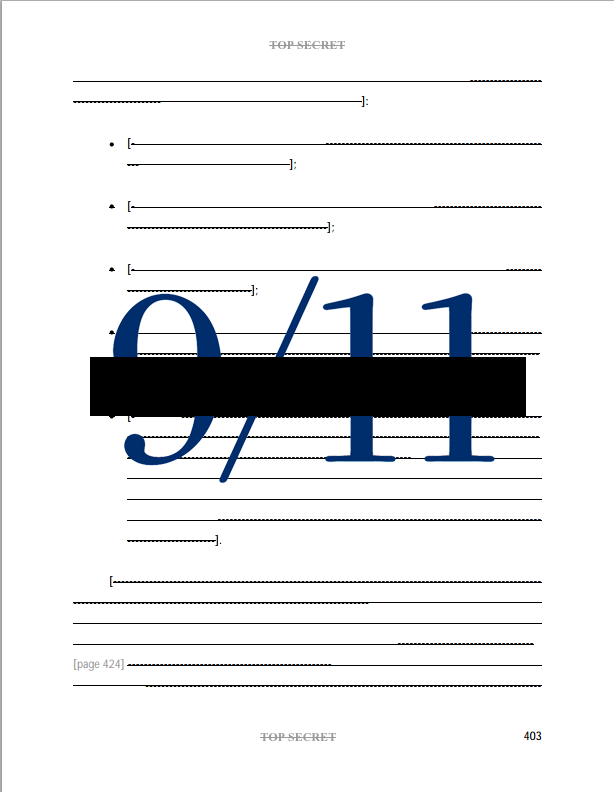 Continuing to make the redacted 28 pages on foreign government support of the 9/11 hijackers a campaign issue, they recently asked Republican presidential candidate Jeb Bush if he would declassify them. The exchange took place at an August 7 town hall in Barrington, New Hampshire. Bush added, “Look, I can’t commit to something until I see it. Since I don’t have classified information, I can’t tell you what it is or tell you whether it should be declassified.” When the woman offered to explain what the 28 pages are—as Bush himself had asked in his initial reply—he stopped her from doing so. 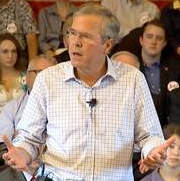 There are two potential explanations for Bush’s answer, and neither is flattering to the former Florida governor. Bush is either so poorly informed on national security matters that he is truly unaware of a well-documented and intriguing 13-year old controversy surrounding his brother’s decision to classify a full chapter in the report of a 2002 joint congressional inquiry into September 11, or he was feigning ignorance to dodge discussion of yet another sensitive Bush family topic. There are many reasons why Bush’s claim of ignorance on this topic invites skepticism. First, of course, is the fact that his brother sits at the center of the controversy. Then there’s the fact that, for more than a dozen years, the most prominent voice calling for the declassification of the 28 pages has been Bush’s fellow Floridian Bob Graham. While Bush was governor, Graham represented Florida in the Senate and co-chaired the unprecedented joint inquiry that produced the 28 pages. When the 28 pages were released, Graham publicly decried the redaction and was among 46 senators who signed a letter to Jeb’s brother urging their release. Also during their governor-senator overlap, Graham published “Intelligence Matters,” a book that was very critical of the Bush administration’s actions before and after the September 11 attacks, including the decision to redact the 28 pages. Among the criticisms advanced by Graham were well-substantiated claims that the Bush White House went out of its way to shield the Kingdom of Saudi Arabia from scrutiny of its ties to the 9/11 hijackers. Graham has since said the 28 pages “point a very strong finger at Saudi Arabia as being the principal financier” of the 9/11 attacks. If the family and Florida connections to the 28 pages aren’t enough to put the issue on Bush’s radar, Graham’s claim that the 28 pages implicate Saudi Arabia in the devastating terror attack should be an attention-getter, given the Saudi royal family and the Bush family are deeply connected in ways that are both personal and financial. 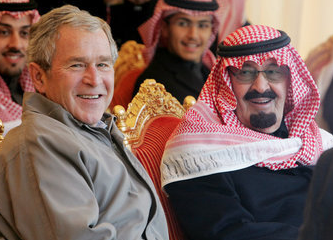 $1.4 billion has reportedly made its way from the Saudi royal family to entities tied to the Bush family, and lobbyists for Saudi Arabia are helping to fund Bush’s 2016 presidential campaign. On the same day in February, two different lobbyists for Saudi Arabia gave a combined $15,000 to Bush’s super PAC, and one of them has already raised another $32,400 in bundled contributions for the Bush campaign fund.